Batik sarongs and pareo from Bali made of rayon fabric. Sarong with hibiscus flowers and large gecko. 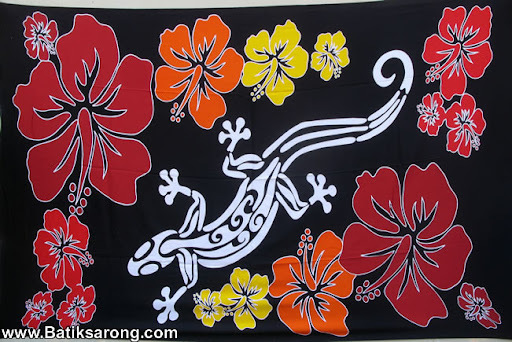 Tropical beach sarongs with flowers and lizard. Handmade in Bali. Made by batik artist of Bali Indonesia. Made to order only. 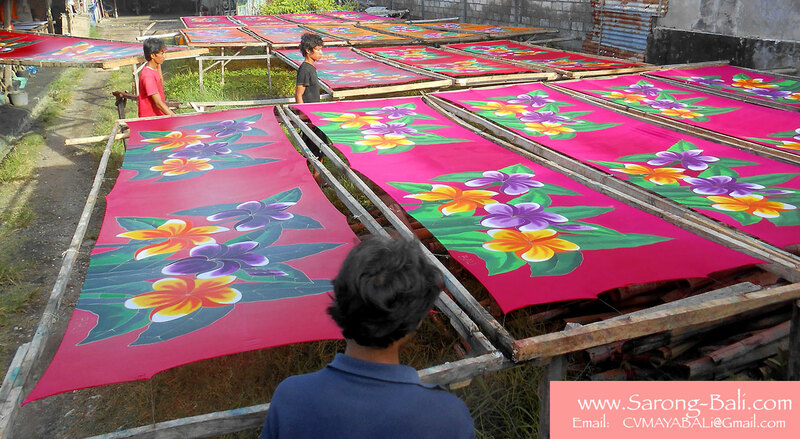 Please contact us for further details about our sarongs from Bali.